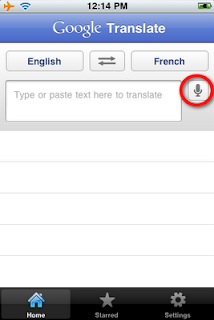 Google has now officialy released the Google Translate App for iPhone, this application is providing a feature with a text to translated text, and voice to text translations. 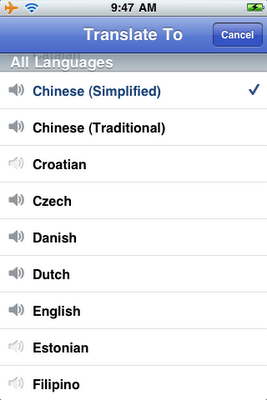 The new application allows for 15 supporters languages to be translated from voice to text. 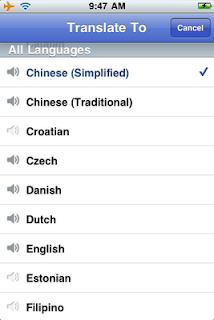 The application works by setting you spoken or written language at the top, and the translated to language next to it. 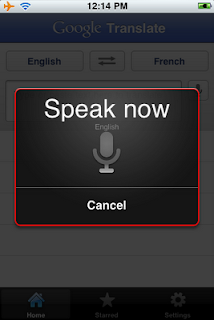 To activate the translation, click on the microphone button beside the text box, and begin speaking. The voice-to-text translations works for 15 supported languages, including English, French, Chinese, Japanese, Italian and many more. The text-to-text translation comes with over 50 supported languages, allowing you to translate just about any language in the world to your native language. The application even comes with two handy features, such as full-screen mode, allowing you to magnify your translation to show off to your friends. The second neat feature, is the playback voice button. 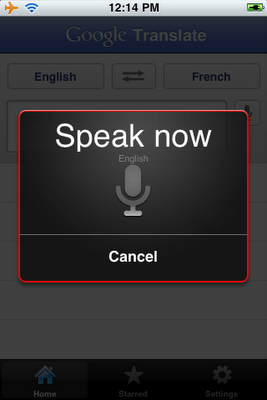 This feature allows you to play the translation back in any of the 15 supported voice languages. Download Google Translate App for iPhone free from Apple App Store.